Work with a faculty advisor to individually tailor a course of study that builds upon you prior education and experience. Enhance your skills in communication, problem solving, and working with others through an exciting capstone experience. The Bachelor of Science in Applied Studies is a very individualized program of study. This major is customized to meet your individual career needs, and it can build on your past college course work as well as occupational or program credits. If you have previously completed a minimum of 60 credits, this may be your shortest track towards a nationally recognized University of Minnesota Bachelor of Science degree. Our faculty and staff will work with you to help you define your personal, career, and educational goals and combine those with the options available through UMC to achieve your goals and help you advance your career. The bachelor of science degree program in Applied Studies meets individual needs whose educational objectives cannot be met through traditional degree programs. Students work extensively with academic advisors to develop an individually custom-built program of study or they complete the respiratory care requirements. This program is especially convenient for students who transfer with a certificate, diploma, or associate degree in an occupational field. Transfer students into Applied Studies have found that most of their previous technical or community college credits were accepted into their degree program. The experienced faculty advisors were able to help them map out the shortest legitimate route to a bachelor of science degree. UMC has an excellent working plan with the United States Air Force ROTC program located at the University of North Dakota in Grand Forks. Students can complete ROTC requirements, complete their B.S. in Applied Studies and become commissioned as an officer in the Air Force. This degree program is available online and on-campus. Often students enroll in the Applied Studies baccalaureate program because they are seeking advancement in their current career field, including Respiratory Care and ROTC Officers. For 2014 graduate DeAndra (O’Connell) Navratil, a class with Associate Professor Katy Chapman sparked a future career or at least influenced it. Soon to be a graduate student at Auburn University in Alabama, the Grand Forks, N.D., native has been working this summer (2017) with Crookston City administrator Shannon Stassen as part of an internship focused on urban planning. With a degree in Applied Studies and an emphasis in Environmental Science, Navratil stacked her resume with learning experiences that would eventually make her a strong candidate for graduate school, although at the time, she was not conscious of it. Learn more. "I am [a former] Admissions & Financial Aid Representative at the University of Minnesota Crookston. Some of my job duties include recruitment of new students; campus events manager; plan, organize, and implement Academic Advisement & Registration. I was originally majoring in Accounting. Half way through my senior year, after being an orientation leader, I decided that I wanted to work in a college setting with students. It was at that point that I switched to Applies studies. I was then able to use the credits I had already taken yet focus on what my future plans were. I was allowed to focus on my future plans yet use my previous educational courses to fit my needs. I really enjoyed it! I was given the opportunity to explore 3 different areas of interest and put them into 1 degree!" "I am currently an Assistant Scientist in the Soil department of the Northwest Research and Outreach Center. In this position I manage a wet chemistry lab providing analysis in support of research projects. I used the applied studies program to refocus my educational background and unite two different programs, from two different universities, leading to a targeted degree. I took an associate degree from UMC in Science and Technology, and two years of study at UND in the Medical Technology program, added management and pathology classes from UMC to create a custom fit program in Laboratory Sciences. I graduated with a Bachelor of Science degree in 1995. After graduation I secured a job in the quality control lab at the North Dakota State Mill as Laboratory Technician. From there I came to NWROC when the soils lab was being developed. The applied studies program was a perfect fit for me. As an older student working toward a new career, I didn’t want to waste time or money while getting my degree. I made use of previous educational programs and combined them in a practical program directed toward my ideal job." "The programs flexibility was great for me because I got the classes that were, and still are useful to me, not what an accreditation committee said would be useful to me. I transferred from a two year institution in North Dakota (North Dakota State College of Science) with a AAS in Architectural Drafting and Estimating. I had looked at quite a few University construction management programs and was not impressed. Schools in the area had rather low standing in the industries eyes, had pour customer service, or were not advertised very well. 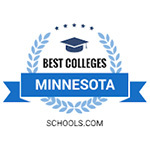 My advisor from NDSCS said I should check out UMC because of my experience and computer interest. I came up for a tour and met some people and thought it was a nice small campus, with a big time name attached. The customer service was nice and I was hooked. From the classes I took at NDSCS in Architectural drafting and estimating, my seven years of construction experience at the time, and the management and technology courses I took at UMC I created a degree that was made outside of the box yet fit in the box very nicely." "I believe this program is best suited for those individuals that have a two-year degree and would like to be on a fast track to obtaining a four-year degree. The program will provide the flexibility of selecting the areas they would like to develop into a Bachelor of Science degree. This satisfied my need to obtain a higher degree and at the same time I became more marketable because now I would not only be an Avionics Technician, but I would be an Avionics Technician with a B.S. degree along with INM and Management skills. This also satisfied a need to be diverse and allowed me the option to explore the job market in three areas not just one."